Mailchimp is an email marketing serviced used by companies large and small all over the world. 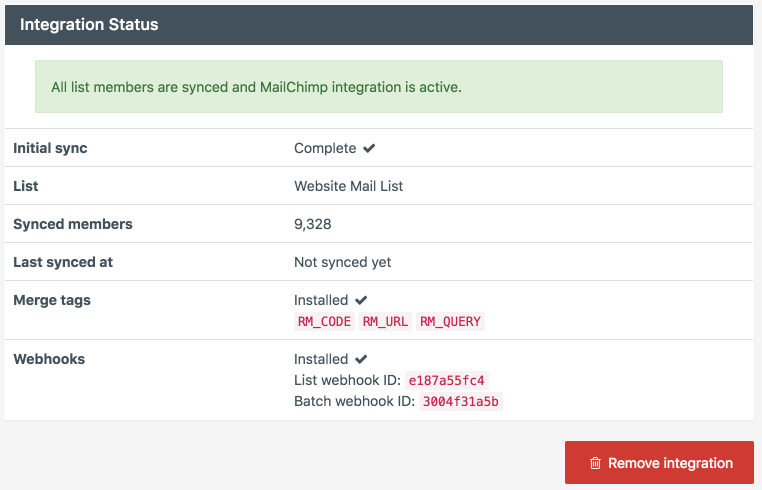 Mailchimp has everything you need to build and run your email marketing campaigns as well as mail lists. 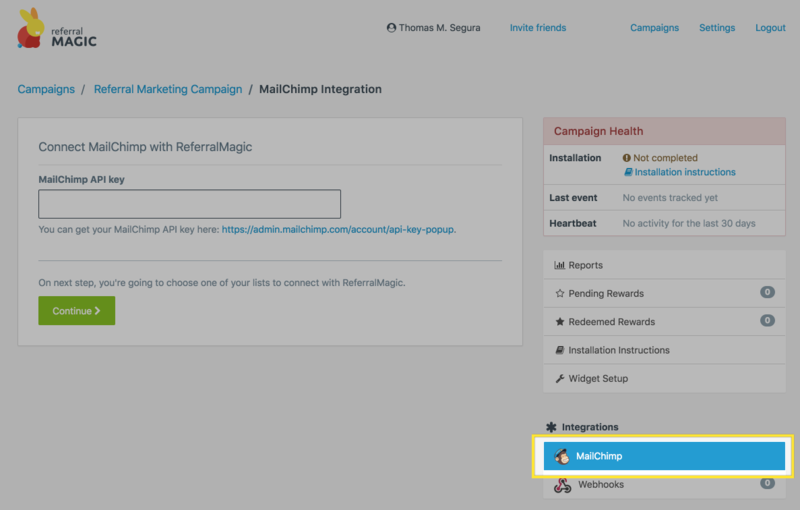 By integrating ReferralMagic with your Mailchimp account, you will turn your mail list members into referral magnets. You can get benefit of your email newsletter campaigns to drive new users to your web app and offer incentives to both your referrer mail list members and invitees. 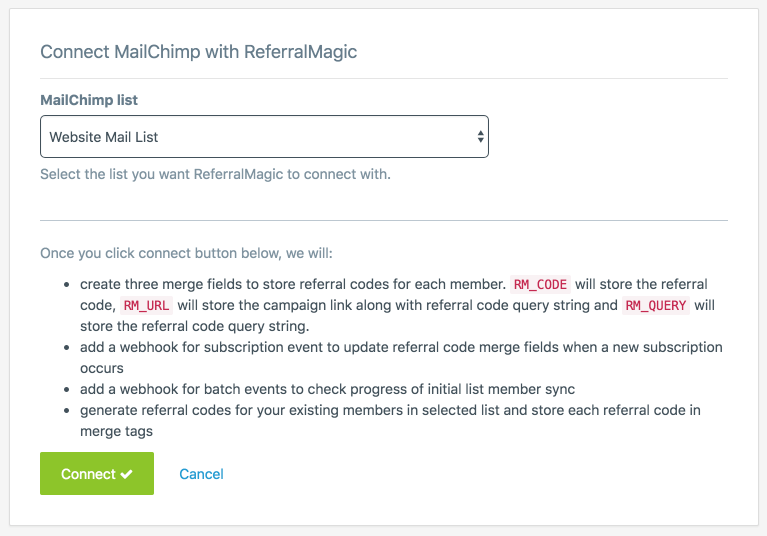 After entering your Mailchimp API key and clicking "Continue" button, ReferralMagic will fetch your Mailchimp mail lists and list them to you. Choose the target mail list and hit the "Connect" button. ReferralMagic will create three custom fields on your mail list and generate referral tracking codes for each of your mail list subscriber. Mailchimp and ReferralMagic can be used together for several different use cases but the most populars are listed below to give an inspiration to you. ReferralMagic is the easiest way to turn your Mailchimp mail list members into referral magnets and grow your base.